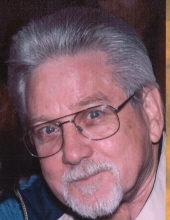 76, of Pensacola, Florida, passed away unexpectedly on February 6, 2019. He was preceded in death by his father, Paul V. Baisch, Sr., his mother, Leila S. Davis, brothers, Gary Baisch and Billy Baisch. He is survived by his daughter, Kim Helton (Shane), son, Jeffrey Baisch, daughter, Julie Bleckwenn (Brandon), daughter, Courtney Baisch, son, Paul Baisch, sister, Jeanne Shell (Dale), four grandchildren, Shelby, Tanner, Lauren and Adam and one great-grandson that is due in August of this year. Paul is also survived by his ex-wife, Kandy Baisch and his step-son, Sean (Victoria and Charley). Paul had many special friends that he made while living at University Pines Retirement, to include a few, Isabel, whom he loved spending time with, Kathy who took care of him at Bingo, Barbara and her sweet dog, Charlie and his caregiver, Shelia Chopp. Sheila befriended our dad and was more than a caregiver, she was a wonderful friend to Paul. Throughout Paul’s life he had many loves. He loved to bowl, collect coins, his sweet dogs, play bingo, read, watch Tiger Woods play golf and he loved Florida Gator football. Paul was also a math and number wiz and he loved his chocolate Hershey bars. But his greatest love was for his children and grandchildren. He may not have always shown it, but he was a proud father and grandfather. He kept everything. Every picture and every card and he treasured it all. Although we will miss him dearly, he is whole again in heaven. Visitation will be Tuesday, February 12th at Faith Chapel South. The family will receive friends from 11-12, with 12:30 PM Graveside Services to follow at Pensacola Memorial Gardens. Pallbearers will be Tanner Helton, Paul Baisch, Dale Shell, Brandon Bleckwenn, Hunter Milsted and Shane Milsted. To send flowers or a remembrance gift to the family of Paul Vernon Baisch, please visit our Tribute Store. "Email Address" would like to share the life celebration of Paul Vernon Baisch. Click on the "link" to go to share a favorite memory or leave a condolence message for the family.